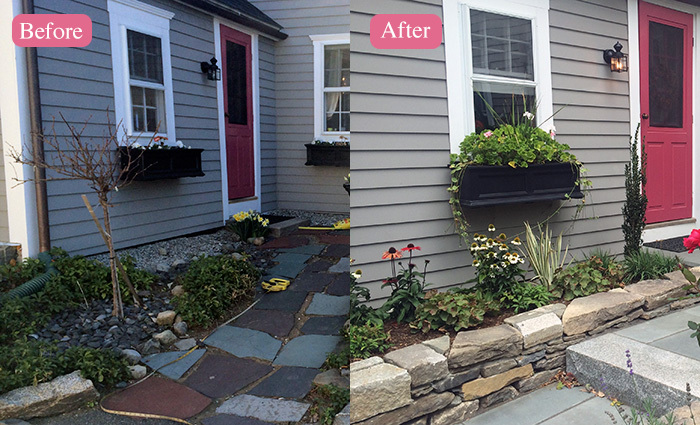 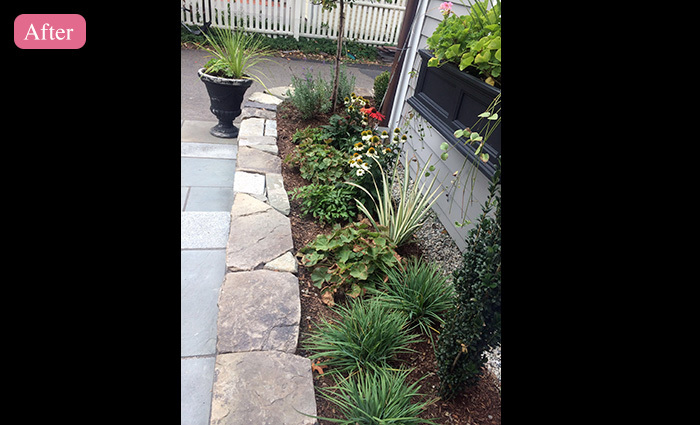 This romantic garden started with the homeowners wanting to give their main entrance much needed curb appeal. 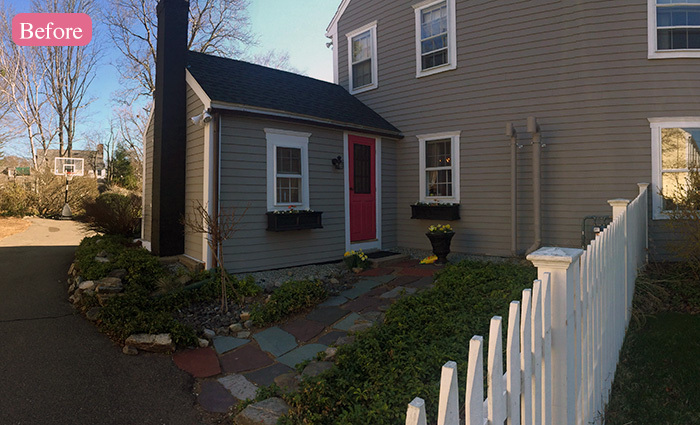 Through designing and installing we transformed the experience of coming home. 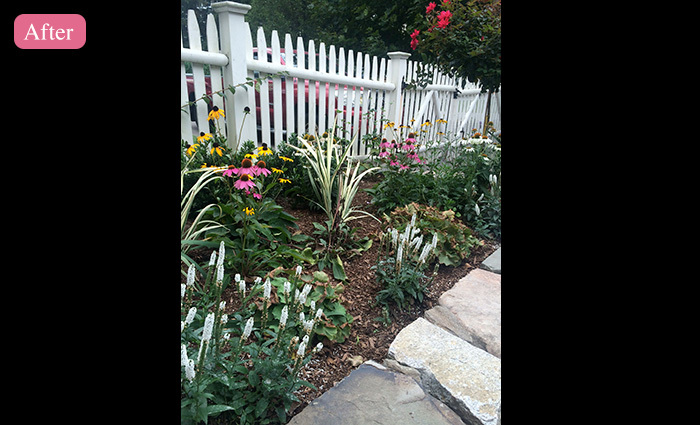 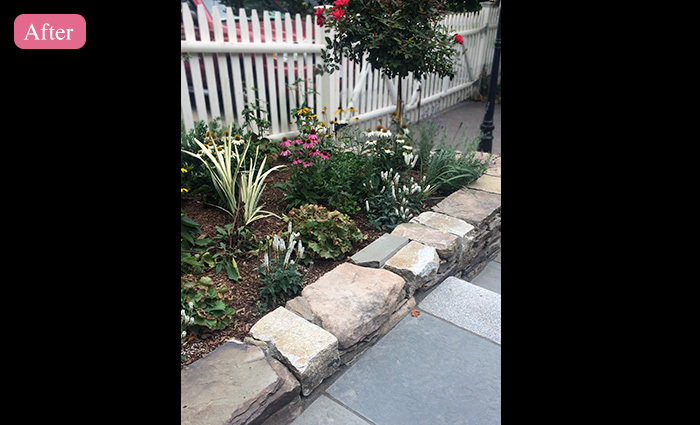 Brightly colored and seasonal blooming perennials catch the eye while the newly stacked stone wall defines the edge of the house. 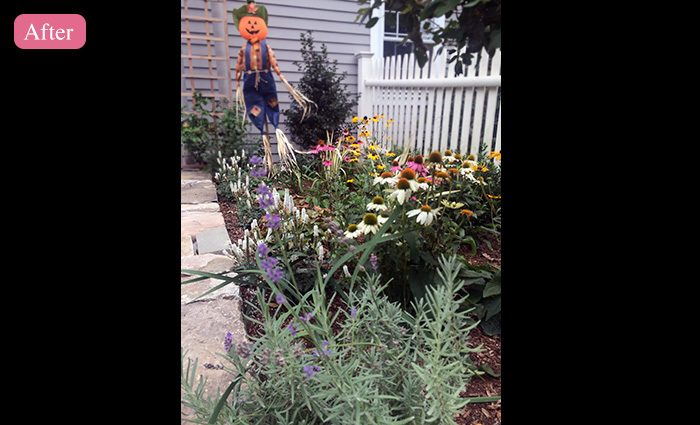 A solid line of boxwoods mixed with continuously blooming perennials encourage a romantic cottage garden style garden. 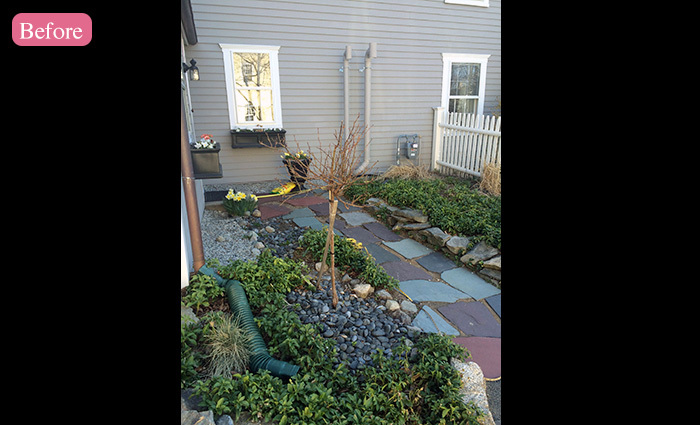 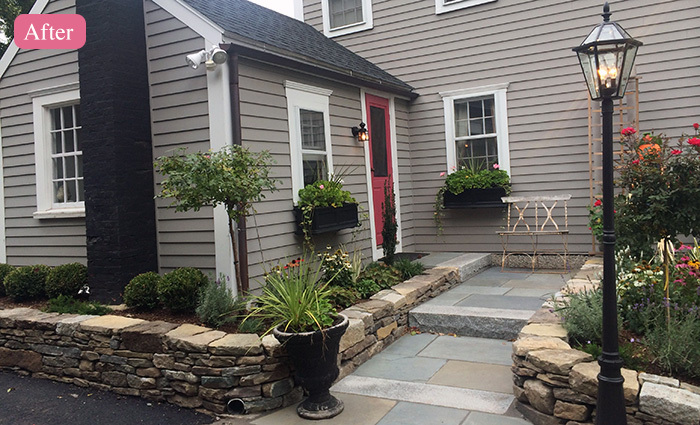 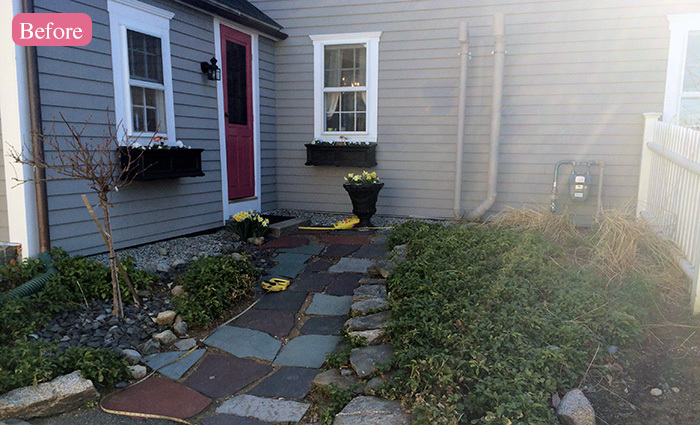 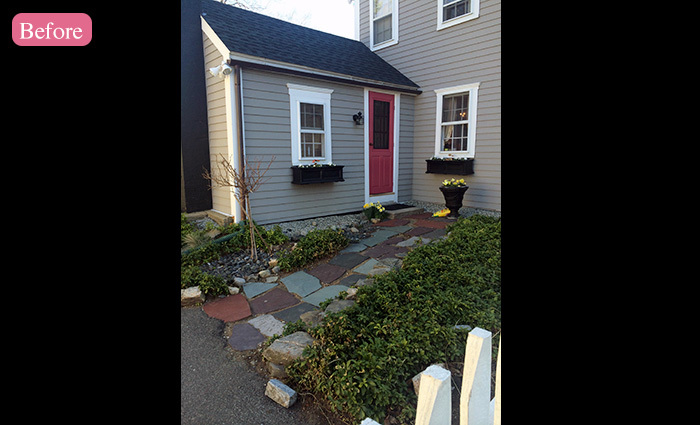 The updated bluestone pathway with the generous granite steps graciously lead you up to the front door. 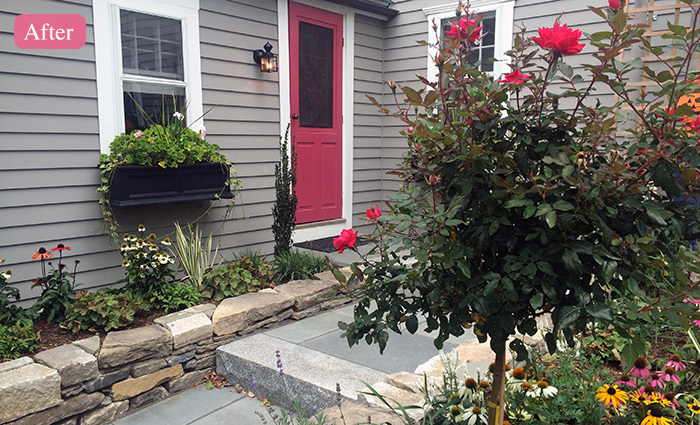 The vibrant colored rose blooms charm you as well as lead you up to the front door.